Learning German verbs can be a really sad experience. Well, let’s be honest, learning German in general can be hard! A lot of German learners who come to Germany without any basics of this language, have difficulties to come into it. Especially when the only help you’ve got is a German dictionary. Luckily, you have taken the right step and visited this site on language-easy.org! 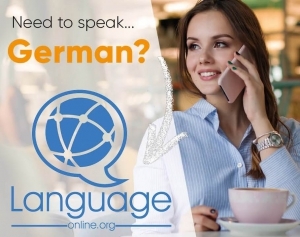 Here, we will try to get into one of the rather confusing part of German grammar when you start learning this language: The conjugation of German verbs. Depending on what kind of verb you have, its conjugation changes. Logically, it is far more easy to conjugate when you know the difference between these two kinds. I hope you will get these basic principles of conjugation of German verbs at the end of this article and become and expert in it! By the way, this article is just a general overview about German verbs. Of course, there are also articles about the different kinds of German verbs in this context. So, in the following I’d like to show you the links to different topic and a short description of the topic. First of all, let’s specify the different kind of German verbs. I already told you that there are strong verbs and weak verbs. But there is another important group: The mixed verbs. An important fact you have to know is that most of the German verbs are weak verbs. But there is also a rather small part of German verbs that consists of strong verbs! Many of these strong verbs are quite important and frequently used in every-day language. Also, they are often irregular when conjugated – not in every tense they have but, still quite frequently. Take care of learning strong verbs quite well. As they appear a lot in conversation, they can really confusing with their changes in spelling due to their irregular conjugation. Don’t worry too much when you make mistake in conjugating German verbs. German speaker will understand you anyway. But if your personal goal is learning this language perfectly, you don’t get around this important part of German grammar. By the way, did you know who first mentioned the division of verbs into strong verbs and weak verbs? It was Jackob Grimm! Maybe you have heard of him and his brother Wilhelm: The brothers Grimm! Jackob was a well known language scientist at his times and, apart from Grimms Märchen, he wrote a lot of important works about the German language and its grammar. So, mixed verbs are, as you already thought, for sure, are a mix of weak and strong verbs. Let’s just go into details, as we will focus more on the other two groups of German verbs later on. So, we have come to the first, and maybe most important part of the conjugation of German verbs: the conjugation of weak verbs in “Präsens” (present tense). Its importance comes from the fact that it is completely regular and covering most of German verbs. So, once you are into this easy conjugation, you already master a great of German verb conjugation. Please, notice: German verbs, when conjugated, consist of two parts. The stem of the verb and its ending. In this case, “lieb” would be the stem of the German verb and, well, the endings you can see in our table above. So, I already explained to you the importance of learning this conjugation very well, as it occurs quite often. It wasn’t that difficult until now, right? So, let’s go to our next tense, the “Präteritum”. Well, in the “Präteritum” (past tense), conjugation of weak German verbs is actually quite similar to the conjugation of verbs in Präsens. Please, note that the past tense forms are also quite important as they are normally used in written texts. Well, as it is really quite easy to master these conjugations, let’s come to the last tense, the “Perfekt”. So, in comparison to Präteritum, “Perfect” (perfect tense) is mostly used in every-day spoken German language. It is interesting comparing German to English in this case: whereas Präteritum and Perfekt are actually equal in use in German, in English, these two tenses can’t be used equally. Obviously, you just have to use the stem of the verb, in this case it is “lieb”. Then you add “ge-“ at this beginning of the German verb. Finally you use the right ending of the verb and it is done! Well, I just hope that you are seated. And having a cup of coffee in front of you isn’t a bad idea, either. You really have to be strong now… We are going to talk about the conjugation of strong German verbs! And here is some bad news right at the beginning: The most effective way of mastering strong German verbs is practicing. There are some rules you have to follow, but actually there are a lot of exceptions. Actually, you can apply these three types to nearly all conjugation of strong German verbs in the present tense. Long “e” and “i” sounds change to “o” — ex: bewegen (to move) becomes bewog. Short “e” and “i” sounds change to “a” — ex: essen (to eat) becomes aß. Many verbs with “ei” change to either “ie” or “i” — ex: schneiden (to cut) becomes schnitt. Verbs with an “ä” vowel change in the present tense change to either “ie/i” or “u” — ex: laufen (to work or walk fast) becomes lief and fahren (to drive or go) becomes fuhr. Finally, we have reached the ‘crème de la crème’ of complicated conjunctions of strong German verbs: The conjugation in Perfekt! Some verbs with “ei” change to either “ie” or “i” — ex: beißen (to bite) becomes gebissen. In many cases, verbs with “ie” change to “o” — ex: fliegen (to fly) becomes geflogen. A lot of verbs with “i” infinitive change to “u” — ex: springen (to jump) becomes gesprungen. As already mentioned, there are exceptions all over in conjunction. Probably you won’t be able to avoid heard studying of Gern verb conjunction. Nevertheless, I hope that the tricks and examples could help you to clear up at least some parts of the conjunction of German verbs!